Craig Grannell was once Cult of Mac's designer and an occasional contributor. Find out whatever he's doing now on Twitter @CraigGrannell or his website, craiggrannell.com. 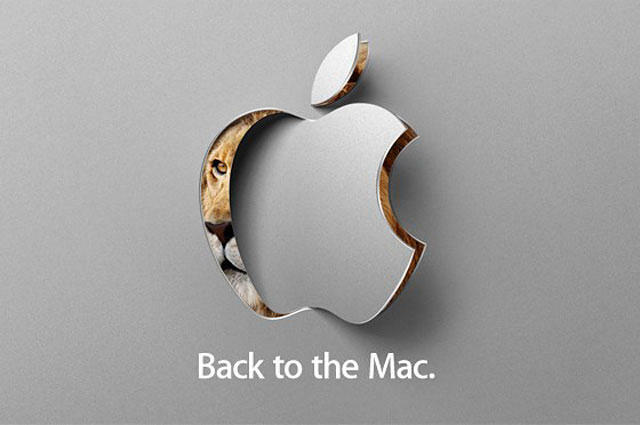 It's going to be Mac OS X 10.7, nicknamed Lion. Naturally, we're hoping Apple licenses Leo the Lion from MGM for a new start-up screen. There’s very little information about Apple’s next big update to OS X, 10.7 or “Lion,” which may be previewed at Steve Jobs’ special “Back To The Mac” press event on Wednesday. People are very excited, though, and they’re letting their imaginations run away with them. Among the features that have been suggested are an App Store for the Mac, multitouch controls, and iOS apps instead of the little-used Dashboard. If you can't be bothered to read the article, the short version is that Killer Edge Racing is back on the App Store! Hurrah! Cult of Mac readers with long memories will remember our reports on Tim Langdell’s battle with Mobigame. In essence, Langdell claimed ownership over the word ‘Edge’ for videogames (and a bunch of other products) and set about suing anyone that infringed on these rights. The problem for Langdell is that many claimed his marks weren’t valid and that he’d doctored submissions to the USPTO. Langdell then sued EA (over Mirror’s Edge, due to the title being similar to Langdell’s ‘Mirrors (a game by) Edge’—seriously), waking a sleeping giant. In tandem with the ChaosEdge project, set up to assist Mobigame, EA set about dismantling Langdell’s arguments via some savvy lawyers; luckily for all concerned (bar Langdell) the judge that dealt with the case was equally savvy, and he stripped Langdell of his marks (Joystiq), and he’s now been booted out of the IGDA as well (Pocket Gamer). 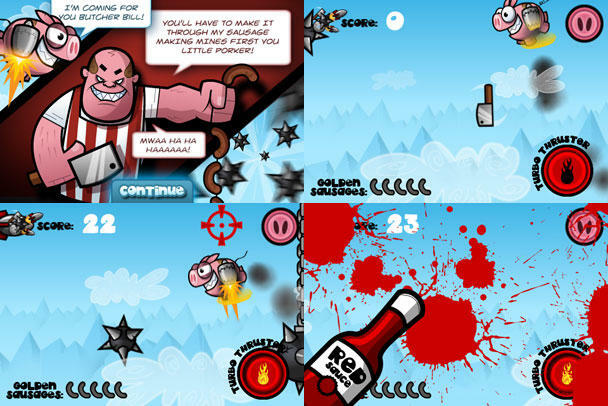 But Mobigame wasn’t the only indie that suffered due to Langdell’s actions. Nalin Sharma had created the game Killer Edge Racing (see this Pocket Gamer interview for more), a fun, arcade racer that had rapidly evolved from a tech demo. 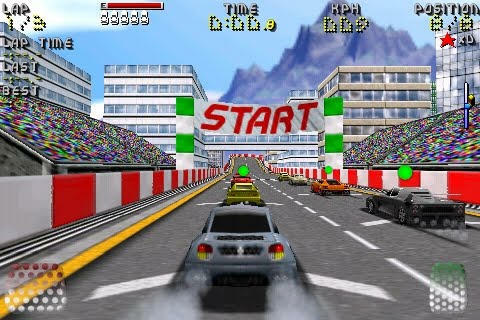 Naturally, Langdell figured the game was passing off his ‘famous’ brand and would confuse gamers worldwide, who wouldn’t be able to tell the difference between an indie iOS game and Langdell’s own Edge Racers (in reality a redressed PC game called Voltage, as outlined by ChaosEdge). But this tale has a happy ending. 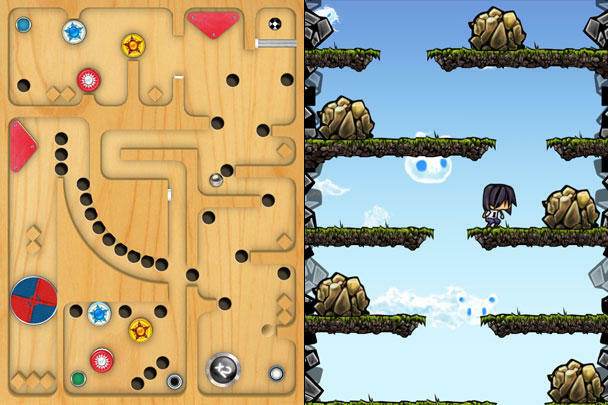 Sharma contacted us the other day to note that his game is back on the App Store. “Given the EA ruling, I thought I would take a chance, and in four days, it has done 6000 downloads and was the #15 racing game in the USA on Saturday,” he says. To celebrate his racer’s return, Killer Edge Racing is currently on sale for 99c/59p (App Store link). 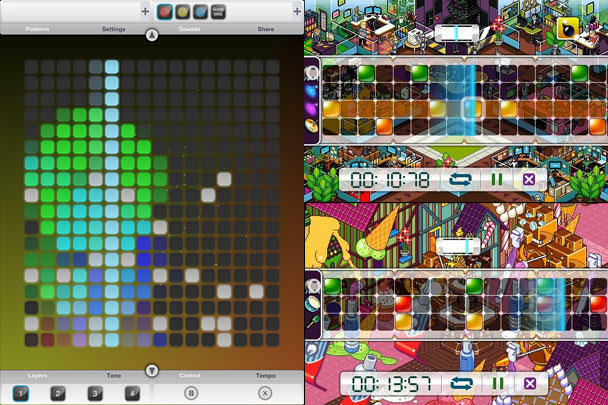 NanoStudio is a recording studio for your iPhone or iPod touch. Since Apple released iMovie for iPhone, the rumor mill’s been chattering about when we can expect other iLife apps to make an appearance. 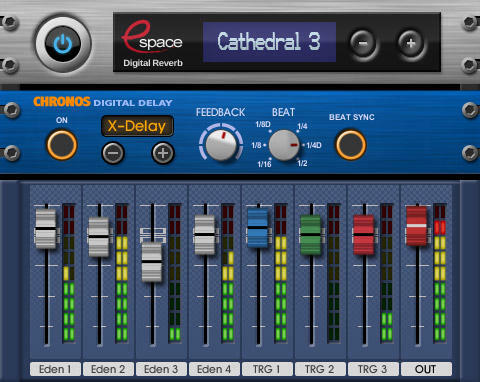 If Apple was considering GarageBand for iOS, it may as well not bother, because NanoStudio‘s not only beaten Apple to it, but it offers functionality and usability that in some ways puts it ahead of the Cupertino giant’s desktop music app. Left: Instapaper Pro. Right: Air Video. It’s time for our weekly digest of tiny iPhone reviews, courtesy of iPhoneTiny.com, with some extra commentary exclusive to Cult of Mac. This time, we review 10 Pin Shuffle Lite, Air Video, Air Video Free, Cliffed, Dubble, Escape Board (iPad), Giana Sisters, Instapaper Pro, Iron Horse, Racecar (iPad), Sky Force, and Sky Force Reloaded. This time, we review Baseball Fever HD, Blackjack Free HD, Break HD, Cliffed, Compression HD, JamPad, Labyrinth 2 HD, Labyrinth 2 HD Lite, Paper Football HD, Paper Football HD Premium, Pukk HD, Sir Revs-a-Lot HD, Tangle Plus Lite, Tap Blaster HD, WeatherBug Elite for iPad. Left: Truckers Delight. 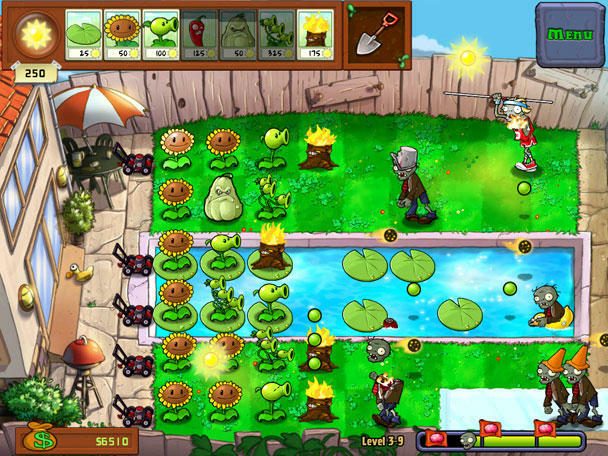 Right: Battle Bears. This time, we review Amazing Animals: Savanna, Battle Bears: Zombies!, Creepy Caverns, Easy Checklist, Find in Page, Flaboo!, Truckers Delight, Tune Runner, and War Chess (iPad). iPhone and iPad Apps Weekly Digest: It’s games week (again) with a zombie twist! This time, we review Azkend HD, Dizzypad HD, GTA: Chinatown Wars, LetsTans 8-in-1, Plants vs. Zombies HD, Scrabble for iPad, Scrabble Tile Rack, and The Catching. 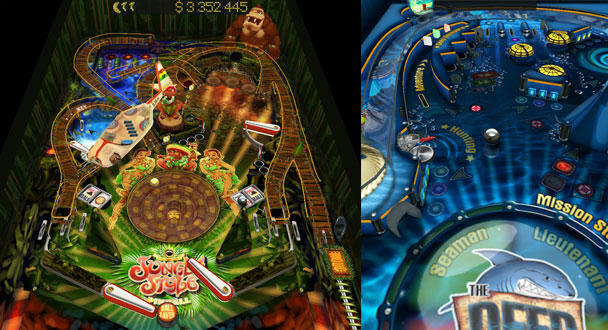 Two of Pinball HD's three excellent tables. This time, we review AlphaBattle, Chop Chop Runner, Compression, ESPN Pinball on iPad, Mini Golf Wacky Worlds Free, Opera Mini, Parcel Panic, and Pinball HD. 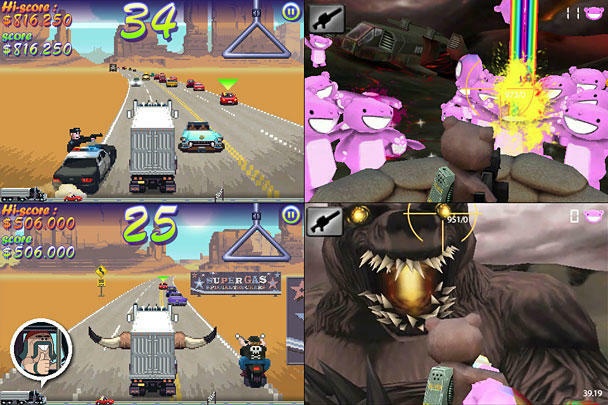 iPhone and iPad Apps Weekly Digest: It’s… Super Turbo Action Pig Week! This time, we review Asteroid Panic (iPad), Dizzypad, Doppelgänger, PapiJump for iPad, and Super Turbo Action Pig. Left: Beatwave for iPad. Right: Beat It! This time, we review Beat It!, Beatwave, Bee Spelled, LEGO Photo, and WhatTheFont.